Hannah’s novel is an homage to the extraordinary courage and endurance of Frenchwomen during World War II. 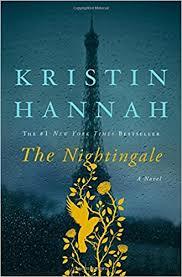 Bainbridge Island novelist Kristin Hannah has based her newest novel in war-torn France during World War II, when a brave and rebellious young woman (code name: Nightingale) risks everything to smuggle downed Allied airmen through a mountainous route out of France to Spain ... It is no surprise that guilt and resentment brew between the sisters as adults; they both have their share of regrets, though they also have a shared love that shines, even through the terrible events of the novel ... The Nightingale is framed as the reminiscence of one of the sisters — we don’t initially know which one... She is galvanized by an invitation to a reunion in France more than five decades after the main events of the novel. The conclusion brings the action full circle for a moving and meaningful resolution. The enduring toll of the loss of a parent. 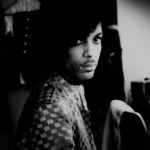 Family estrangement. Sisterhood. And the difficult choices life hands us ... Best-selling author Kristin Hannah (Fly Away) transports her favorite themes to World War II as the Nazis penetrate the Maginot Line and invade France ... Hannah's story becomes a tale of two sisters, set largely in the worst of times. Antoine gone to battle, Viann survives the German occupation in a dangerous dance with a handsome, empathetic Nazi who occupies her house ...a heart-pounding story, based on a real Belgian woman who did what Isabelle did. Hannah's book is most searing as the horrors of war ratchet upward... The novel's soaring finale proves that love conquers even Nazis. In The Nightingale, Hannah once again explores the domestic side of war. This time, though, she turns her attention farther back in the past — to World War II — and to the courage and strength of French women trying to keep their lives together in the face of Nazi occupation ... Hannah has written poignantly about sisters in novels like True Colors, and she again explores the complicated bond between them... Readers unfamiliar with the role France played in World War II may be surprised to read of the atrocities great and small perpetuated by the Nazi occupiers on the French people ... The novel is suspenseful and romantic at the same time, and offers readers a very personal portrait of life in wartime and of the kind of bravery harbored by even seemingly ordinary people. What did you think of The Nightingale?